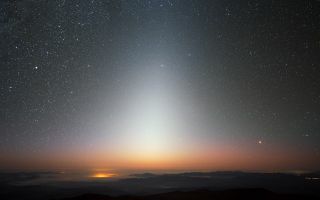 This image beautifully captures the zodiacal light, a triangular glow seen best in night skies free of overpowering moonlight and light pollution. This space wallpaper beautifully captures the zodiacal light, a triangular glow seen best in night skies free of overpowering moonlight and light pollution. The photograph was taken at ESO’s La Silla Observatory in Chile in September 2009, facing west some minutes after the Sun had set.